The durable design, with limbs made from EnduraFiber, and a riser made from machined aluminum, guarantees that this bow will last you a lifetime. A wide range of accessories from the Trophy Ridge series sold by the same manufacturer, make your purchase even more worthwhile. Quiet, efficient, and deadly, it is a weapon of choice for beginners and pros alike since anyone can adjust the bow to fit their skill. Tuning the bow can be a hassle, especially if you are a novice. Sometimes, when adjusting the draw weight, the limbs might pop out. The Bear Archery Cruzer G2 is a compound bow that caters to a broad category of users, and that is one of its selling points. Easy to adjust to the requirements of the person who is going to use it, it offers tremendous adaptability, which means that this model is more than your average, one-size-fits-all compound bow. Versatility is, of course, one thing. 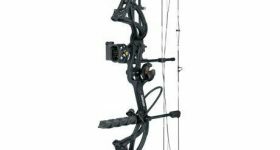 What makes this particular bow stand out from the crowd is its ability to offer superior performance. 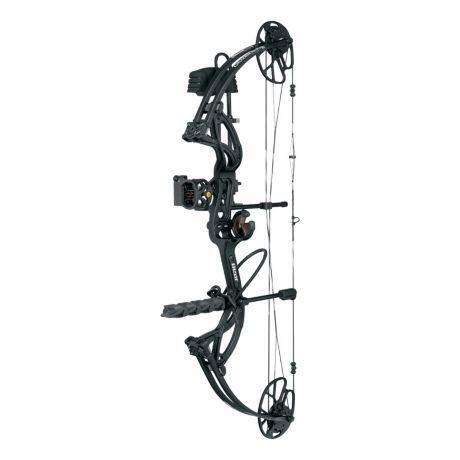 Everything, from the sturdy construction to the accessories provided with your purchase, will convince you that this is the type of compound bow you need to make your future hunting adventures an exciting experience. Seeing that the manufacturer offers a limited lifetime warranty for this bow is the best testimony that the Bear Archery Cruzer G2 is created to last for years. Ideal for the hunter looking to bring down big game, as well as for a young shooter who is just getting the hang of this fascinating hunting weapon, this model is a must-have for anyone looking to strike a good deal. The machined aluminum riser keeps weight to a minimum, and it is durable at the same time. The EnduraFiber limbs are yet another reason why the durable build of this particular bow has already managed to impress a lot of hunters who have decided to try it in the field. While flexible, the limbs will provide the needed rigidity to send your arrows at high velocity. As you can see, this manufacturer thought of everything when putting together this competitive compound bow. For what it offers, and its outstanding durability, the pricing is more than justified. The first thing that must be mentioned is that this bow is available for both right-handed and left-handed shooters. You need to remember to pick the version that fits your requirements when you place an order. Its superior versatility makes the Bear Archery Cruzer G2 a must-have for any aspiring bow hunter, and not only. While it is expected of good quality compound bows to offer a degree of customization, this one indeed goes over the top. Its draw weight can be adjusted from 5 to 70 lbs, while its draw length can be customized to any value between 12” and 30”. No matter your body frame and height, you will find that this compound bow can be adjusted without a problem. Another thing that must be said here is that you only need an Allen wrench to change the weight and length. Lightweight, at only 3 lbs, this model sends your arrows flying at a velocity of 315 feet per second. Due to the particular design of the limbs, balance is easily achieved, and load distribution is perfect. The model we review here comes equipped with some exciting accessories. You will get a four-pin sight, a whisker biscuit arrow rest, a stabilizer, a peep sight, a loop, and a quiver that can be used to hold five arrows. These Trophy Ridge extras come in handy, and they are nice to have as a beginner because they work well, and, also, because you don’t have to purchase them separately. Another thing that should be mentioned is the advanced grip designed to reduce hand torque. You don’t have to worry about accuracy when you’re using this bow. Its convenient grip makes it all easy. The compound bow is ready to take along hunting, and the shape of the limbs provides you with the necessary control for well-aimed shots. The smooth draw circle contributes to the high performance of this bow, as well as its ease of use. This model comes equipped with the RockStops suppressor which is responsible for reducing vibrations and overall noise. Many hunters can tell you that this feature is extremely important because, when you are out in the woods, you need to make sure that your prey will not be able to hear you. The string suppressor used by this compound bow does an excellent job, and there is no significant risk for you to give away your presence and location when you are out in the woods, hunting. If you are interested in making an investment that will last for years to come, and even a lifetime, the Bear Archery Cruzer G2 is exactly what you need. Its superior durability recommends it for any shooter and hunter, and the fact that it comes with extreme customization possibilities allows it to grow with the skill and age of the shooter. It doesn’t matter if you are a beginner or a pro, this bow will let you achieve your goals with fantastic accuracy. Other performance traits, like high velocity, noise reduction features, and particular limb and grip design, contribute to the overall excellent value of this bow.